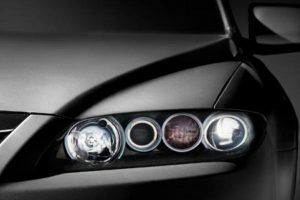 Experiencing rapid growth, a New Zealand importer and distributor of motor vehicle accessories was faced with a difficult choice as its accounting system failed to keep pace: either put up with an inefficient system, or pay an exorbitant amount for an ERP solution which wouldn’t quite fit requirements. However, when RubberTree discovered n2 ERP from First Software, it found a software package which met every need, at a competitive price point, all backed by local service and support. And because of its implementation of n2 ERP, the company managed to grow substantially into Australia without missing a beat. RubberTree was founded in New Zealand in 2009, importing and distributing car mats and other motor accessories. Since then, it has expanded into Wholesale and Retail Channels in both New Zealand and Australia supplying product for more than 1,700 models of vehicle. RubberTree director Brock Mustard says that like many small companies, it started out with an off-the-shelf accounting package. “As we expanded, we quickly outgrew that system and that meant a lot of our business processes were manual, relying on spreadsheets and other point solutions. The limits of this approach were clear, as we were making plenty of mistakes; those glitches ultimately impacted on our ability to accurately meet customer demand for our products,” he explains. Because of this experience, RubberTree kept looking for something which would not only meet its budget, but more importantly, meet its requirements for import, distribution and retail. “An acquaintance suggested First Software, so I gave them a call. I’m glad I did, because they immediately blew me away,” Mustard enthuses.